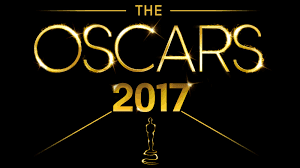 The 89th Academy Awards ceremony, presented by the Academy of Motion Picture Arts and Sciences (AMPAS), honored the best films of 2016, and took place on February 26, 2017, at the Dolby Theatre in Hollywood, Los Angeles, 5:30 p.m. PST. During the ceremony, AMPAS presented Academy Awards (commonly referred to as Oscars) in 24 categories. The ceremony, televised in the United States by ABC, was produced by Michael De Luca and Jennifer Todd and directed by Glenn Weiss. Comedian Jimmy Kimmel hosted the ceremony for the first time. Moonlight won three awards, including Best Picture, and La La Land won the most awards of the ceremony, with six, after receiving a record-tying 14 nominations. These are the winners of the 89th annual Academy Awards.